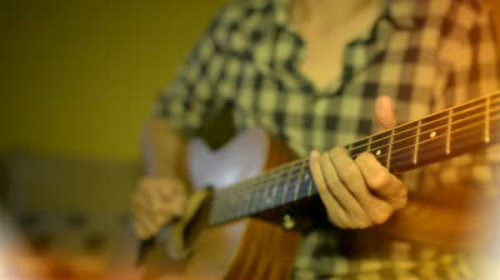 Adult Guitar Lessons...It's never too late! Sure, you can subscribe to Lumosity or you can sign up for lessons online somewhere and learn an instrument, but they aren't going to help you play Free Bird or Sweet Caroline with your buddies, just sayin'. Buy a good starter guitar. If its hard to play, then you will not want to play it. Some starter guitars are so hard to press the strings down it becomes a chore and our motto is "if it's a chore, it's a bore"! Don't learn strictly from Youtube videos.Youtube is great for grabbing little hints or learning a few songs, but lessons generally do not scaffold well from level to level. Your more likely to succeed with a coach. Personal accountability is the best. Jump into group lessons as soon as possible. We have a beginner band program for adults. Many students say they wouldn't have continued to grow as fast musically if they had not joined the band. This is because there is more personal accountability on not only yourself, but your peers as well. How long will it take me to play well? We get this question a lot, and though learning guitar is challenging, it is also tons of fun and very rewarding once you get the hang of it. As far as expecations go, we tell our students that within the first month they can learn 3 or 4 songs. Our biggest objective is to teach you your favorite songs. The more fun you have, the more willing you are to practice. Am I right? If you're in the Fort Worth area, please give us a call and we'll set up a free demo lesson. You can also check out our Band Date program for adults here on our website. It is great for those who want to come in and learn an instrument in 2 hours of instruction.